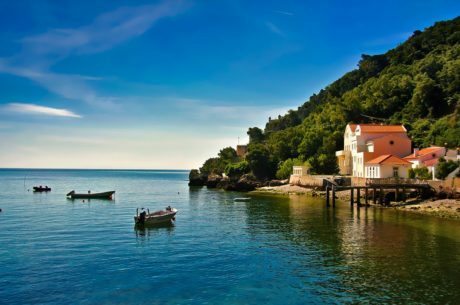 Enjoy this private 8 hour tour from Lisbon, and discover the wonderful western portuguese region, which has UNESCO World Heritage Sites, and Fátima, which is one of the catholic pilgrimage sites most visited in the World. 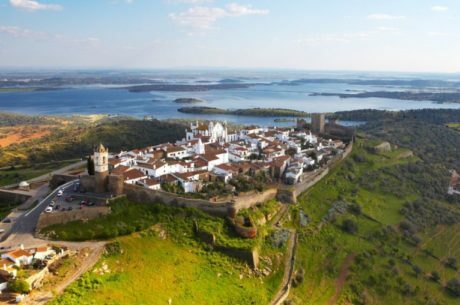 You will enjoy this magnificent tour in your own private luxury vehicle, with a private driver and a private tour guide, who will illuminate you with the secrets and history of this beautiful portuguese region. Enjoy this private full day tour and get to know Fátima, a place with a very special energy, and the Western Portugal, where you will get to know the inside Portugal, where people is very welcoming and warm. We will pick you up from your hotel or place of choice in Lisbon, and you will enjoy a 8 hour tour where you will be fully interiorized in the history, culture and secrets of the Western Portugal, its traditions, gastronomy and its unique atmosphere. The Tour Travel and More team will help you to organize the best possible tour, adjusting it as much as possible to your own interests and likes. Fátima is one of the most important catholic shrines in the world dedicated to the Virgin Mary, the place welcomes millions of pilgrims and tourists from all over the world every year. The pilgrims gather in Cova da Iria, an enormous plaza where a little chapel was built and where the Virgin Mary is believed to have appeared to the children. You will visit Fátima, which is located only 1 hour and 20 minutes away from Lisbon, and your private tour guide will tell you the history of this wonderful site, where you will feel the special energy that this place has. You will visit the Cova da Iria, the big plaza where the pilgrims gather, which is twice bigger than the Saint Peter’s square in the Vatican. You will visit the houses of the two shepherd that had the encounter with the Virgin Mary, Marto and Lucia. You will then continue visiting the Western portuguese region. You will visit fantastic places like Nazaré, Óbidos, and two UNESCO World Heritage sites, Batalha Monastery and the Monastery of ¨Santa María da Alcobaça¨. The Monastery of the Dominicans of Batalha was built to commemorate the victory of the Portuguese over the Castilians at the battle of Aljubarrota in 1385, it has been declared a UNESCO World Heritage in 1990. Nazaré is Portugal’s most famous fishing village, known worldwide for it’s enormous wave phenomenon. Nazaré has the biggest surfed and recorded wave of the whole world, a 30m wave at ¨Canhao de Nazaré¨. The Monastery of Santa Maria d’Alcobaça, north of Lisbon, was founded in the 12th century by King Alfonso I. Its size, the purity of its architectural style, the beauty of the materials and the care with which it was built make this a masterpiece of Cistercian Gothic art. Its foundation is related to the beginning of the portuguese monarchy. Finally, you will visit Óbidos. This medieval town is located only 1 hour away from the center of Lisbon. It is a walled city, which has traditional painted houses and narrow cobbled streets. Obidos has an extensive history, an imposing castle and wonderfully preserved town wall. In this lovely town you will try ´Ginja´, which is a traditional portuguese liqueur made in the area. Once you have finished your visit to the wonderful Western region of Portugal, your private guide and chauffeur, on your private luxury vehicle, will take you back to your hotel or place of choice in Lisbon. We have suggested a 8 hour tour, but it is possible to do a shorter or longer experience. All the tours we offer at Tour Travel and More are totally adjustable to the interest and likes of our clients. Please, do not hesitate in asking, our work is to make the best possible tour for each person.